Chiltan Traders is located in Shoaib Bilal Market, Sargodha Road, Faisalabad. 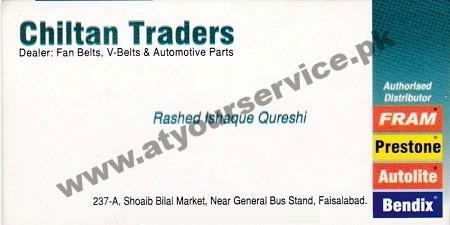 It deals in Fan Belt, V-Belt and Automotive PArts. It is an authorized distributor of FRAM, Prestone, Autolite and Bendix.